I respect your time, so I will get straight to the point. 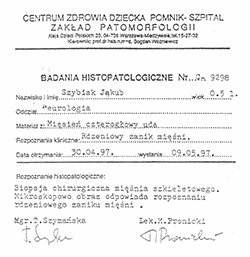 My name is Jakub Szybiak, I am 21 years old and since I was born I have been suffering from continuously progressing spinal muscular atrophy (SMA) type 1 (Werdnig-Hoffman). Currently, I am lying, require a twenty-four hour respiratory care and frequent suction. My physical fitness relies only on my right thumb, by which I use a computer mouse. As you can see, spinal muscular atrophy has severely overwhelmed my body but in spite of all, I do not give up and I am constantly developing with hope for a better tomorrow. I'm interested in broadly understood computer science, and programming is my hobby. In this area, the most fascinating for me is the sense of freedom – which is exactly what my illness has deprived me of. By programming, you become a master of your own destiny, and the only limitation is your own imagination. Thanks to the help and kindness of other people I have the opportunity to study Computer Science at the Jagiellonian University - I am the first person to participate in this fully distant kind of learning. Not a long time ago spinal muscular atrophy, commonly called SMA was an incurable disease, and the only way to slow down the disease was good nutrition and systematic rehabilitation. 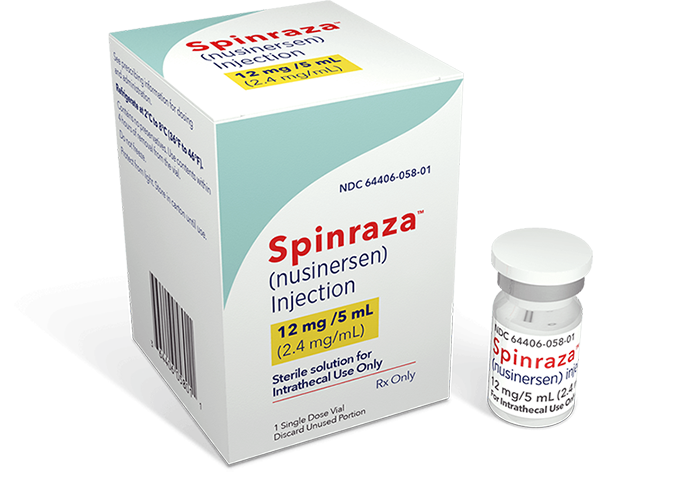 Spinraza is the commercial name of Nusinersen, which is the first drug against spinal muscular atrophy. Nusinersen was officially approved for use in the treatment of spinal muscular atrophy in the European Union on 01.06.2017. Spinal muscular atrophy is caused by the deficit in SMN protein (the protein of the motor neurons) in the body. This leads to the death of nerve cells in the spinal cord, which in the first place results in weakening of the motor muscles, esophagus and respiratory muscles. The most dangerous in SMA is weakening of the respiratory muscles, which can lead to respiratory failure, which is the cause of most deaths in spinal muscular atrophy. 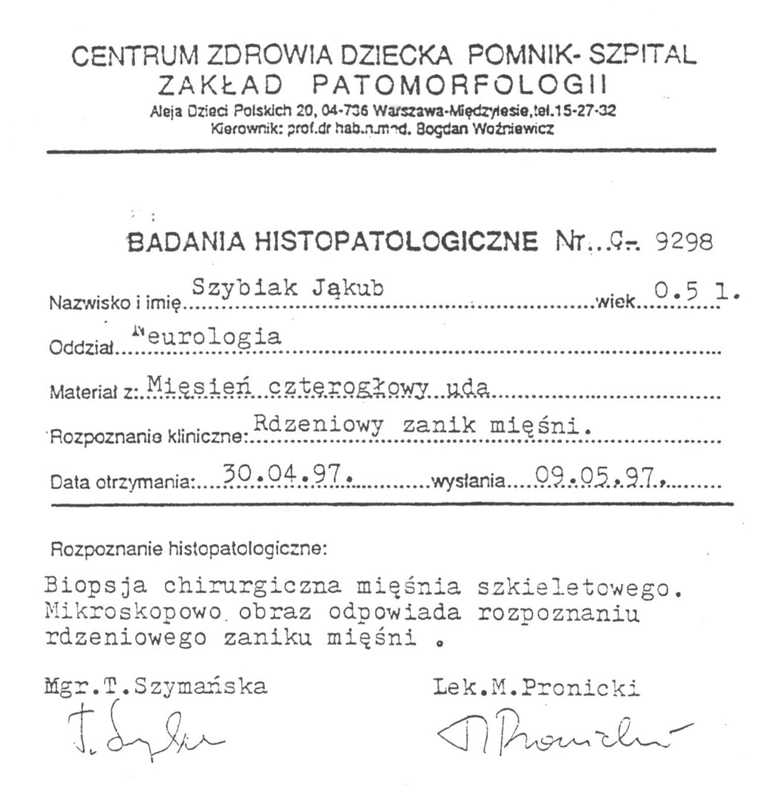 The news that the first effective drug used in the treatment of my disease is already available in Poland, gave me great hope and a sense that finally something bad is over. This something was constant fear regarding my spinal muscular atrophy and what else is yet to come in the subsequent months of my life. You must have probably found yourself in a situation where you thought to yourself "It cannot get any worse" - nothing could be further from the truth. My illness has often made me realize that what used to be the worst thing for me, such as lying-down position, today would be a lot better without a respirator connected and problems with swallowing saliva, which everyone does unconsciously, and is not at all aware that someone could have such difficulty with it. Someone might even say, "You are in such condition that SMA cannot harm you more." Despite great hardship that I have to deal with every day, I know that it can get worse, for example, tracheotomy, parenteral nutrition, catheterization, etc. On the day of introducing Nusinersen to Poland for the first time I saw the light at the end of the tunnel, which I had never seen before. My biggest dream was to start treatment as soon as possible, because in case of SMA time is of crucial importance. The action of Spinraza drug is to promote the production of more SMN proteins in the body by modifying the SMN2 gene to act as a defective SMN1 gene, which is lacking in patients with spinal muscular atrophy- SMA. This reduces the loss of nerve cells and can improve muscle strength. 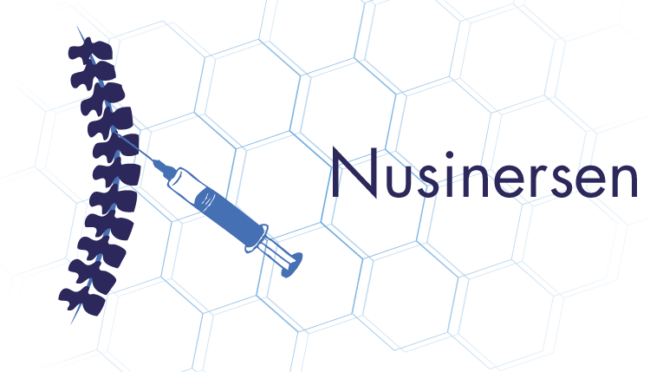 Nusinersen, which in Poland is known under the name of Spinraza is administered by lumbar puncture, by pushing the needle into space around the spinal cord. This procedure is done by a physician experienced in the field of lumbar puncture. The procedure of Nusinersen injection may require sedation or general anesthesia thanks to which the patient will relax or fall asleep during the procedure. The first 4 doses of Nusinersen are given at more frequent intervals to saturate the body. Loading doses are given on days 0, 15, 30, and 60. Further maintenance doses are given every 4 months. Nusinersen is the only hope for me! Unfortunately the cost of the first year of treatment is 540 000 € which is approximately 2 300 000 pln! In mid – August 2017, "Biogen Polska", the producer of Nusinersen applied for putting Spinraza on the list of refunded drugs. According to the regulations, the whole procedure lasts about 8 months. However, due to a very high price of the drug, it will probably require price negotiations, which can significantly lengthen the entire procedure - up to 2-3 years. In addition, it is worth stressing that this procedure does not ensure the drug to be included in the refund list, although there is a chance. At the beginning of the previous year, 30 patients with type 1 SMA were provided with free expanded access program before a refund decision has been issued. The only criterion for participation in the program was to be under 18 years of age. What is the Nusinersen Expanded Access Program (EAP)? The Expanded Access Program is a legal solution providing the possibility of administering appointed group of patients an experimental drug before its official registration for use. The drug is made available free of charge by the manufacturer. Currently in Belgium, further studies with Nusinersen are conducted in patients suffering from type 1 muscular atrophy (the most severe form of SMA), and the only criterion that must be met in order to get into the program is a positive verdict during the initial consultation. Its aim is to verify whether it will be possible to perform lumbar punctures required for Nusinersen administration as some patients suffer from rib scoliosis. I made it! During the consultation in Belgium on 20 November 2017 I qualified for the treatment, which I started on 5 December 2017! Unfortunately, a problem with Belgian law has appeared. Belgium has not clearly defined the treatment conditions for Nusinersen yet, and once it is done, only Belgian citizens will be able to receive Nusinersen free of charge. Acccording to the forecast, this is due to happen in June 2018, and then my treatment will be discontinued. In spite of all, I believe that the happiness and providence of God will make it possible for me to find another solution thanks to which I will be able to continue my treatment. This is a great opportunity for me, because despite the long, tiring and expensive trip to Belgium (there will be 7 trips in the first year) the cost of the whole treatment will be incomparably lower than the standard price of treatment in Poland. The cost of treatment is very high, and that is why I am asking for any help so much. I strongly encourage you to like my facebook fanpage Wspólnie pokonajmy SMA Jakub Szybiak, and thanks to this I will keep you informed about my fight with SMA. If you see &check; instead of this means that you have already liked my fanpage. Clicking again will undo your like! My disease, spinal muscular atrophy is a complex disease that cannot be overcome alone. Fighting with SMA is a long-term process and personally I think that together we are able to effectively overcome it. 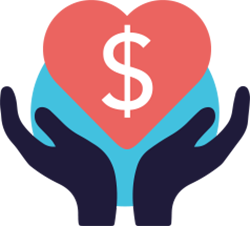 Because of the huge costs of treatment, financial support is crucial, however, I am aware that not everyone has the opportunity to make financial contributions, which does not mean that they cannot add their "bricks". Any form of help is important! As I have written before, we are only able to succeed together, so the wider the group we create, the better chance we will have to be able to overcome the SMA. 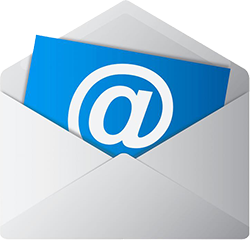 If you want to help me reach more audience, please share my fanpage on your profile. How to transfer your 1% of tax? It is enough to enter the following data in the PIT form. I also encourage you to mark the option I agree to transfer my data, then I can personally thank you for this wonderful gesture. 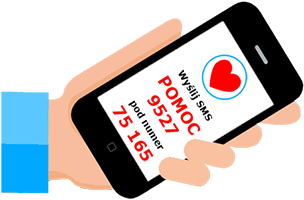 Each SMS is a valuable 5 PLN support in the cost of treatment! The cost of SMS is 6.15 PLN gross. Thank you very much dear visitor for taking a moment of your precious time to get acquainted with my situation. I would also like to thank all those who have added their "brick" to defeat my enemy - spinal muscular atrophy (SMA).